Do your research: It should be the first step in the research setting. You should know the exams want to appear for and list out the colleges you are aiming. 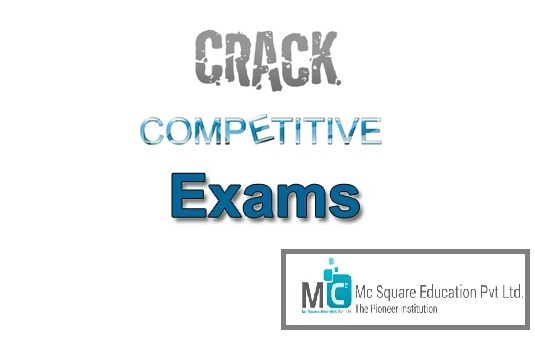 Be aware of the duration of the test, and the types of questions, and to establish rules of negative signs, a number of questions in each subject and style of the test. Join a good coaching institute: There are good training institute to strengthen your readiness for exams and will help you master your weak threads. Since you will be learning with colleges expert, they can guide you properly and to clarify your doubts. Make a timetable: A strict timetable is very important to stay organised and dedicated to your setup. The presence of a suitable timetable also helps to have a general idea about your setup. Clarify doubts: While preparing for the exams your own, make sure you get your doubts clarified by the experts. It is important to master all your curriculum topics to get the edge over the others. Solve sample papers & revise: It is very important to keep solving sample papers while preparing your competitive examinations. This gives you a basic understanding of the paper form and what to expect on the day of the exam. Take care of your body: Exam stress is harmful more ways than you can imagine. It is important for students to learn how to manage stress before exams because they can really hurt you have done all the preparation. Keep your mind and body rest and meditation every day so you do not have anxiety before your exam.